← The Rustic Venues of Maine! So last year, a Groupon came up in the GAGILLION emails they sent me. Seriously though, if you’re not on Groupon, you should check it out. You can get a ton of things on the cheap, even trips! For a little while I thought about getting out honeymoon through Groupon, you know, before I realized we were poor. Anyway, the Groupon was for a local tattoo parlor, for an hour of tattoo time for a greatly reduced price. So I snatched it up, and finally redeemed it for a tattoo I thought would take an hour. 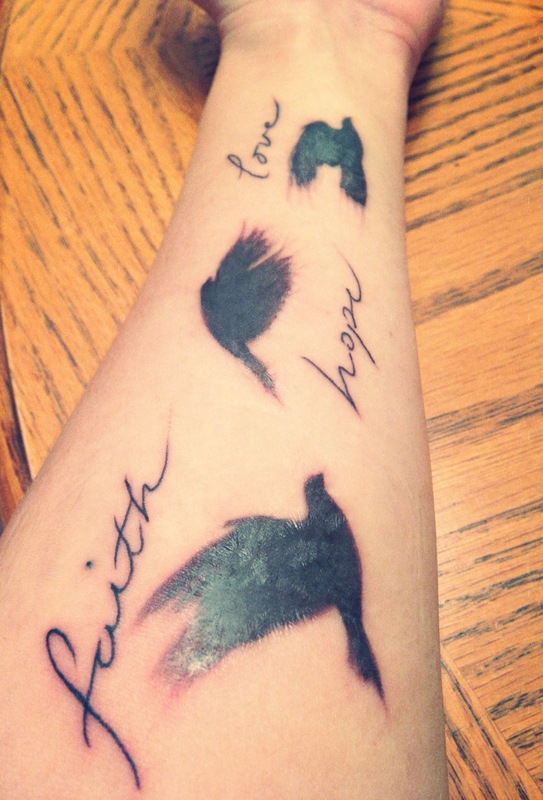 This is my first really visible tattoo, my others are on my back, and my hip, so to get one on my arm was a big step! I’m really pleased with the result and wanted to share! Now for a progress update! Monday I did the first step of the rustic photo transfer. The first time I did this project it didn’t come out exactly as planned. This time I fared a little better, one turned out perfectly, another is…meh. I’ll let you be the judge. I still have one more to do! I hope that the last one comes out great, that way there are only two that are only “okay.” But I’m using them all gosh darnit! 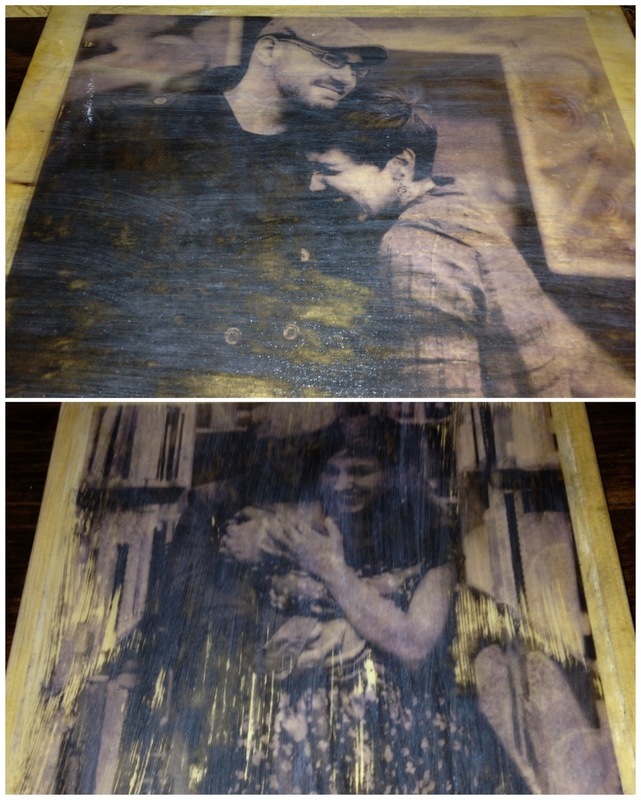 So have you tried the rustic photo transfer yet? How did you fair? ALSO….any of you have visible tats for your wedding? I’m excited to be a tattooed bride!